Latest addition to my friends list is petrini1 who I met in the Little Free Library Stewards' group. The group lives on another website that shall not be named. 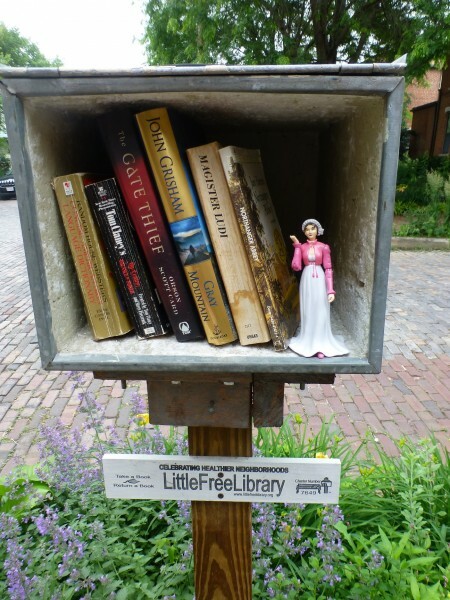 She likes writing about authors, and the little free library tourism adventures of her Jane Austen action figure.